One of my favorite products on the market right now are the Spectrum Aqua Markers by Spectrum Noir. What I love about them is that it is super simple to achieve a great watercolored look and very forgiving when you want to make a change. For my tutorial today, I am using one of the new Gina K Designs set called Elegant Florals 2 along with three Spectrum Aqua Markers from the Essentials (Moss & Olive) and Primary (Aquamarine) sets. Check out my step-by-step instructions for making this quick 5-minute card! 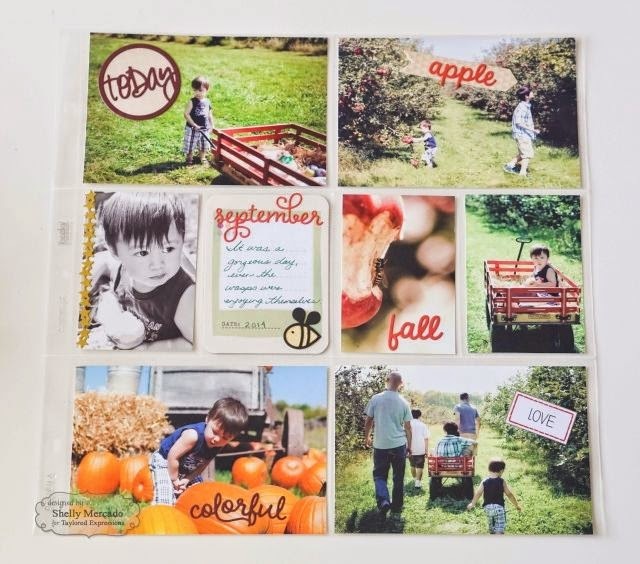 Step 1: Select a die shape to fit the shape of the image and trim watercolor paper. Step 2: Stamp the selected image in white pigment ink and heat emboss with white embossing powder. Step 3: Select Spectrum Aqua colors and scribble some color from the marker to a palette. I selected Moss & Olive from the Essentials Marker Set. I also gathered my water brush and a paper towel. You can use a regular brush with some water ~ either works well. It's nice to have a paper towel on hand to dab off excess water or color from your brush. Step 4: Starting with the lightest color (Olive) apply to the leaves of the image. Step 5: Next add the darker green (Moss) to areas of each leaf and add some Aquamarine to the background so the image pops. Keep adding color if it is too light or add water if you feel like the blue is too dark. And here is the very quick watercolored image! YES ~ it really is that simple. See you soon with another fun Spectrum Noir Tutorial! Totally staged photo because she had no clue how to attach the flowers ~ no magnet on this one Meg. Since it was very cold and sprinkling outside, we moved the photo session to our church. Megan and her BFF Britt... such gorgeous girls. They look like princesses! "I'm freezing Mom... take the picture!" We served dinner at our house for the group... such a fun night! Me and my sweet, gorgeous girl! such gentlemen ... making sure their dates don't get too cold. This month for the Taylored Expressions Pinterest Inspiration, I decided to look through the TE Pockets & Pages Pinterest Board & work on a page for my daughter's marching band book. ACK!!! She graduates in 6 weeks and I'm still scrapbooking her junior year... I need to get moving! Here are a few of the pocket cards I made from Friday Fun at Band Camp 2013. I found inspiration from THIS PIN by Shelly Mercado ~ I just love how she added the die cut words on her photos. Hey There Peeps! I know it's been awhile since I've posted a tutorial, but being gone for Spring Break is making the month of April a bit crazy! But I'm back today with a new tutorial for Gina K Designs and Spectrum Noir using the new Spectrum Aqua Markers ~ which by the way, are now available at Gina K Designs! 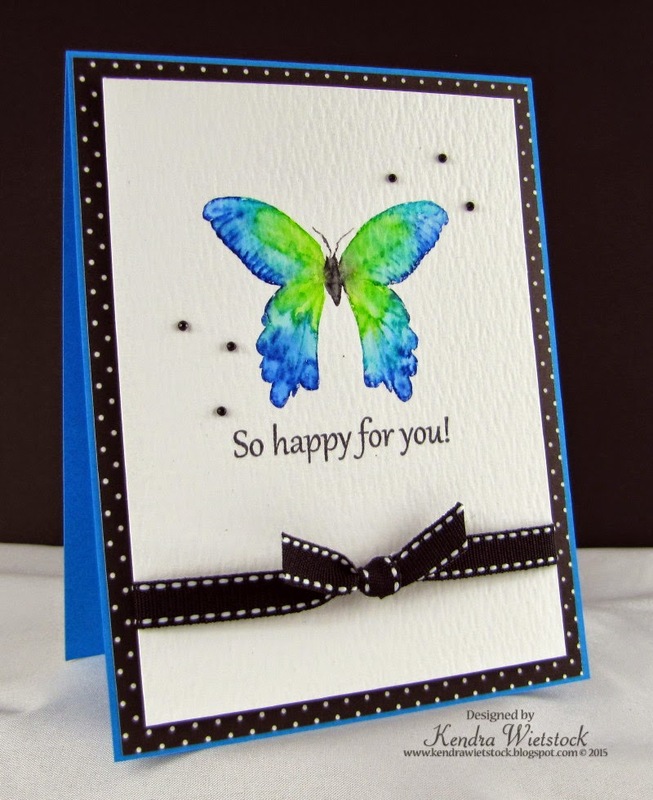 This lovely butterfly image is from the Dogwood & Butterfly set by artist Theresa Momber and the sentiment is from the Elegant Florals 2 set. After I selected my image, I picked my Spectrum Aqua colors ~ Charcoal, Bud Green, Kingfisher and Marine (colors are shown below). I put the butterfly on an acrylic block and then started coloring with the brush tip directly on the rubber stamp. I started with Charcoal in the center for the butterfly's body and antenna. Next, I added the Bud Green & worked from the center outward. For the next color, I added Kingfisher and slightly overlapped the green and blue. Then finally, I added the darker Marine blue along the outside edges of both wings. Once the color was applied, I used a squirt bottle and sprayed a very light mist of water on the stamp. Although this butterfly looks very pretty as it is, I really wanted to fill in the color. So I used a used a watercolor brush to blend the colors. I blended each color one at a time so they wouldn't look muddy. Below, I started with the Bud Green. The waterbrush I use is from Tim Holtz and has the water built in the barrel; however, there are many other brands available. You can easily use a regular brush and a small cup of water. TIP: I usually keep a paper towel close by so I can dab off water or extra color before I move on to the next color. Next I spread the lighter blue next to the green and then I blended the darker blue on the edges. Don't saturate the image or you will lose some of the detail. If you find that the colors are too washed out, scribble some color from the marker on your acrylic stamping block and then dip your watercolor brush in it and apply to your image to darken the area (I had to do that with the Kingfisher blue). For the butterfly body, I added just a bit of Charcoal color with my watercolor brush. 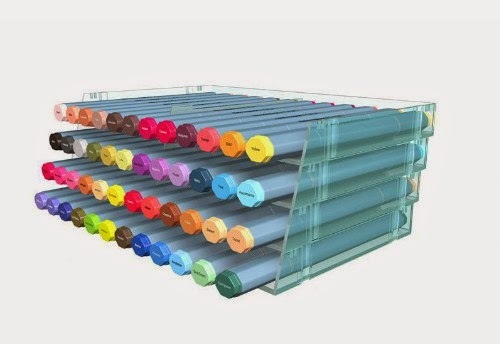 Here are the 48 colors that are available for the Spectrum Aqua Markers. They are sold in 12 packs ~ Nature, Primary, Essentials, and Floral. I love them all! They are super easy to use & are very forgiving if you make a mistake ~ just add more color and blend again. They are dual tipped water based markers. And here they are all lined up in the pretty storage trays! As seen on HSN for Crafter's Companion!